The writing duo of Christina Lauren does so many things flawlessly time after time in their books. One of those is the ability to keep their stories feeling very fresh and different. Beautiful Secret is no exception. I don’t think anyone would argue that the book boyfriends they deliver are always something special, but I’m willing to admit that I wasn’t quite sure what to make of Niall’s at first. He’s quiet, reserved, and not exactly one who is comfortable revealing emotions. But, you know that saying…still waters run deep? I think that’s a good way to describe Niall’s really. As I got to know him better, to understand him better, my feelings toward him began to change. I went from unsure, to liking, to crushing on and lusting for him hard. As for Ruby? I loved her immediately. She’s obviously smart and capable, but she’s also quite open…very often comically, and awkwardly so. She’s got the patience of a saint where Niall’s is concerned, and believe me, she needs it She’s been attracted to him for a very long time, and when they’re sent off together to work on a project it could either be a dream come true, or one huge disappointment. There’s a whole lot of of slow burn in Beautiful Secret. I imagine, like me, you’ll find yourself frustrated and longing for resolution, but the satisfaction you’ll feel when it finally comes will definitely be worth the wait. I also have to tell you that there’s a deep sweetness to this story that I really loved. And, if you’re hoping to get a glimpse of some of the characters from the previous books then you won’t be disappointed. Did I mention that this story is told in dual POV? Yeah, I love that too. I’m giving Beautiful Secret a very high recommendation. I think you’re going to love the depth of this story and of the characters as much as I did. You’ll feel the heat, the heart, the struggles, the break through moments, and the funny. I’ve come to expect great writing from Christina Lauren and once again they have delivered. Plainly put, Beautiful Secret is simply delicious and a must read. This entry was posted in Adult Romance, Book Recommendation, Christina Lauren, Favorite Authors, Reviews and tagged Adult Romance, Book Recommendation, Christina Lauren, favorite authors, reviews. I have been so excited for this book. I love this series!!!!!! Beautiful Beloved gave us a tiny glimpse of Niall, and I have been looking forward to his book ever since. Christina and Lauren are the dynamic duo! I love their humor. The characters in this series are HAWT! I’m getting a big glass of ice cubes ready.!! Thanks for the review. Can’t wait! I’m so glad to see that you are enthusiastic about this book! I’ve really been looking forward to it. I love the whole Beautiful series, although I must admit that Beautiful Player has a special place in my heart. Will and Hanna — so hot! The perfect build-up, the perfect exploration, the perfect payoff. I do have a very American question to ask: I know that the name Niall is not uncommon in the UK, but I’ve never met anyone with that name. Is it pronounced Nye-ull, Nay-ull, Nee-ull? I want to hear it properly in my head while I’m reading it! 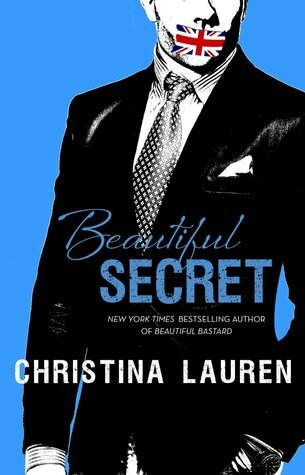 I’m hoping that Christina Lauren will keep this series going — I love the characters. Can’t wait to read it, too! That does help — thanks!